Delon Hampton & Associates continues to be a proud sponsor of the Greater Washington Urban League (GWUL). GWUL is the region’s oldest civil rights organization. For the past 80 years, GWUL has stood on society’s frontlines, as well as in the trenches serving as a safety net and facilitator for District of Columbia-area residents, whether in advocacy, housing, employment, emergency assistance, entrepreneurship or education. 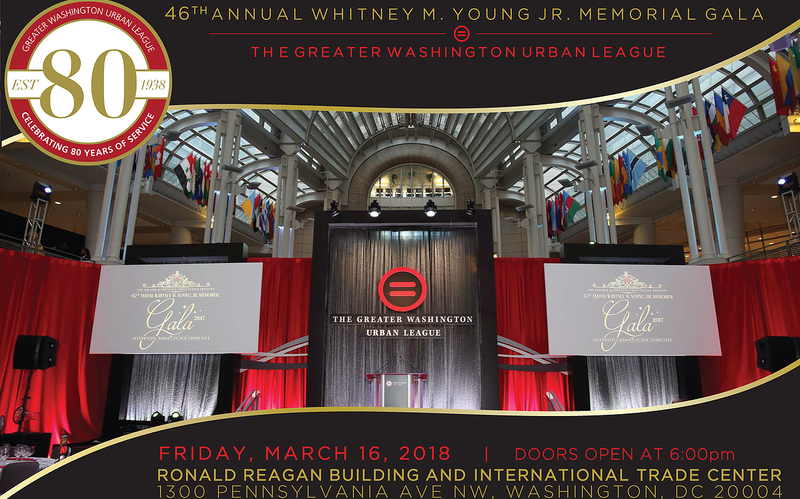 The 46th Annual Gala was hosted at the Ronald Reagan Building and International Trade Center on Friday, March 16, 2018. GWUL recognized this year’s Impact Leader Awardee, Congressman John Lewis, for his outstanding leadership and life-long dedication to protecting human rights, securing civil liberties to the highest ethical standards and moral principles.